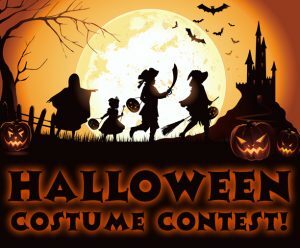 Halloween is 2 weeks away and so is the 2018 Employee Halloween Costume Contest! The contest will be held on Wednesday, October 31, 2018. 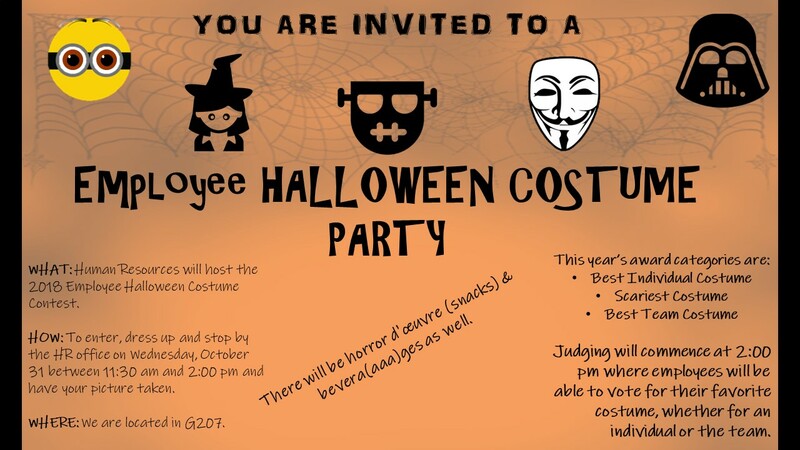 All staff and faculty are welcome to join by dressing up and stopping by HR office between 11:30 am and 2:00 pm to get your picture taken. The pictures will then be uploaded to an online survey where everyone can view the photos and vote accordingly. The winners will get bragging rights and some fun prizes. Snacks and beverages will also be served during this time. If you would like to bring treats, you are welcome to share. Please drop off any treats to G207 before 11:30 AM on October 31.